Just one block South of Wilson Ave. 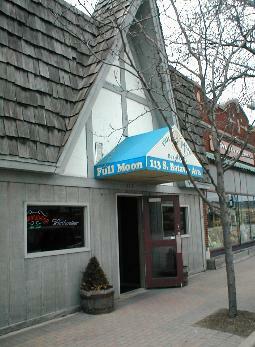 The Full Moon Bar and Grill is a full service neighborhood establishment! famous pub burger and food service until close! Full line of import and domestic bottled beers. Mixed drinks and Liqueurs to satisfy every taste. Pub Burger, Rueben sandwich, fresh cut fries and much more. Pool table and Arcade games for those who like to play. Daily drink and food specials. Free Parking in rear lot. Carry out service for beer, spirits and food until close. Open till 2am everyday of the week !! !